Love to perform? Seeking performers for this year’s IGNITE! Youth Festival! Get ready because this year, IGNITE! Youth Festival is all about wonderland! For one whole week in May (May 2nd-10th) youth will take over The Cultch and transform it into what has become Vancouver’s largest youth driven festival! To help bring the wonderland alive, The Cultch’s Youth Panel is looking for talented performers of all kinds ages 13-24 to audition. No wonderland is complete without the wild and wacky, beautiful and graceful, bizarre and a little ugly, the amazing, the heroic, the new, the old… well really anything at all! What are you excited to see at auditions? Who do you hope shows up? What would be the craziest coolest act you could imagine? Anything else you want us to know about IGNITE this year? To sign up for your audition, email auditions@igniteyouthfest.ca by February 24. Auditions will be held March 8 and 9 at the Russian Hall. Can’t wait to see you there! 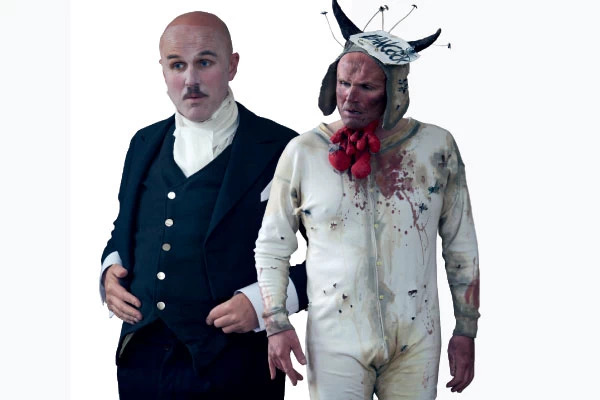 On January 30, as part of the 2013 PuSh International Performing Arts Festival, UK playwright and performer Tim Crouch brings his latest production, I, Malvolio, to The Cultch. A celebrated international performer, Crouch has developed a large following here in Vancouver, thanks to past visits performing My Arm and An Oak Tree in 2007, and ENGLAND in 2009. For I, Malvolio, Crouch uses humour as a means of exposing the harm caused in bullying and practical jokes in a re-imagined version of Shakespeare’s famous play Twelfth Night. In this version of the classic tale, the story is told through the eyes of the pompous steward Malvolio, a perspective rarely seen and explored in theatre. In Shakespeare’s Twelfth Night, Malvolio is bullied and picked on by the other characters, ultimately winding up as the crux of a hurtful joke. 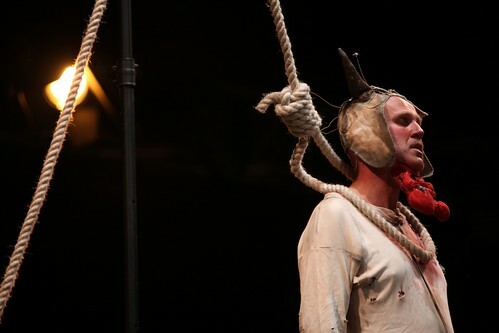 In the end, poor Malvolio meets a pitiful demise when he’s written off as insane, and locked away in a dark chamber. In his final words he pledges revenge on the other characters for treating him so poorly. I, Malvolio is an entertaining production that reinforces valuable lessons along the way. Don’t miss your chance to see this contemporary spin on a classic play! 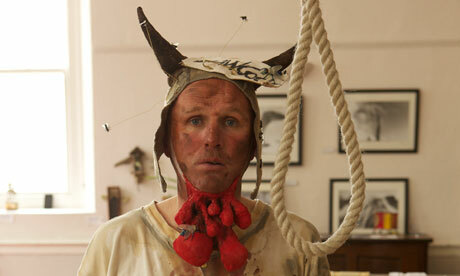 I, Malvolio runs at The Cultch January 30 – February 10, 2013. Tickets start at $17 and can be purchased at tickets.thecultch.com, by phone at 604.251.1363, or in person at The Cultch Box Office, 1895 Venables St.
Next week from May 14th to 19th, The Cultch will be taken over by young people who will lead, coordinate, and perform in the IGNITE! Youth-Driven Arts Festival. The Cultch’s Youth Panel has been working on this festival for nine month and can’t wait for it to start. But who is the Youth Panel? The Youth Panel, the core of The Cultch’s Youth Program, is a group of approximately 25 young, artsy people who meet once a week to plan the IGNITE! Festival. During their nine months, they are introduced to all aspects of organizing a festival, from media relations to technical workshops. All the work, effort, and enthusiasm that the youth put into the project ends with one week full of amazing performances by young artists from around the Lower Mainland. What made you want to be a part of The Cultch’s Youth Panel? David Cowling: I joined the Youth Panel to meet youth excited about the art scene in Vancouver. In high school, I was always deemed “the artsy kid,” which was fine, but I had no other artsy kids to talk arts with! Joining the Youth Panel was a great way to meet fellow active youth and grow friendships and ties with people I might not ever have met otherwise. Delan Elliot: When I was 14 years old, I was considering attempting to create a live music event centered around youth and youth involvement in the community. At the time, I had neither the resources nor the time to accomplish it. When I was searching to see if anything similar existed, I found the IGNITE! Festival, and it then led me to the Youth Panel… I became more and more excited at the prospect of having a major role in the creation of a festival. I knew that by joining a group of other enthusiastic youth, I would have a better chance of creating something that I was proud of. Emma Atkinson: My sister, Clare, participated in The Cultch’s theatre summer camp for youth this past summer, and while there, she heard about the Youth Panel. She was intrigued, and asked me to join her at the first meeting of the year. Curious as to how it worked, I tagged along and was sold from day one. The opportunity to be the creative mind behind a festival as neat as IGNITE! was what really got me, and it hasn’t disappointed. What’s the best part of being on the Youth Panel? DC: The best part about Youth Panel is getting to come back, once a week, to a place where I can be with friends and collaborate on how to create something as epic and grandiose as an arts festival. It’s like in school when you get paired up with other kids you don’t know to create a project, except your friends with everyone in your group, and your project is the coolest party in town. EA: The incredible knowledge and experience I have gained in the various facets of curating an event like IGNITE! On a very fundamental level, the maturity I’ve gained as far as communication and teamwork goes has been utterly invaluable, and is something I know without a doubt I’ll take with me to everything I do, professionally and personally. As part of the fundraising committee, learning the ropes of approaching, pitching, and maintaining good professional relationships with sponsors and supporters of our festival is something I didn’t expect to get out of my experience on Youth Panel, and I’ve learned volumes in a very short period of time. DE: I love the experience of seeing my hard work translate directly into a successful show, and I almost enjoy seeing other people watch the show more than I enjoy watching it myself. The final week deservedly feels like the culmination of nine months’ worth of planning and careful preparation. Out of all the shows you’ve seen at The Cultch, which one made the biggest impression on you? EA: Without a doubt, getting to see Nina Arsenault’s performance in The Silicone Diaries was one of the most special experiences of my life. Appreciating the simple but bold set design, as well as her complete openness with her life was a moving experience further emphasized by the chance to speak with Nina on a more personal level at a workshop we did with her, facilitated through The Cultch. Definitely an experience that will stick with me. DC: The show that has left the biggest impression on me has to be Home Sweet Home, which was put on by Subject to Change last year. It was a very fun community bonding exercise, and something about the happy energy in the room during its exhibition has never left me, and somehow now represents The Cultch for me as well. What has been your favourite activity so far this year? DC: As a first year Youth Panel member, auditions were such a treat. I had no idea of the caliber of talent in this city that lies almost hidden in its youth. I had seen almost none of them perform before, but I would pay to see almost all of them perform again. Luckily I don’t have to; I can just go to IGNITE! EA: As far as sheer pleasure goes, the audition process was phenomenal! It was the first instance when the festival started to feel real, and I got a clear vision of just how special it was going to be! DE: My favourite activity by far has been hosting auditions. For an entire weekend, members of the Youth Panel all gathered in a rehearsal space and watched approximately 80 different acts perform in a diverse range of disciplines. The feeling you get as you watch a band that you really like perform and think “I would really love to see these guys again on stage” is truly fantastic. Why is this festival important to you? EA: It’s so important that we give youth a platform from which to promote their art. For me, that is what will make it worth all the blood, sweat, and tears everyone at our wonderful panel has put into making this the best six days it can be. I think it’s also important to give youth thought-provoking and relatable art to view from the other side of the stage, as an audience. We’ve chosen a wide selection of diverse, unique acts with the goal that our audience will appreciate the massive spectrum of stuff that falls under the label “art”. DC: This festival is important to me because it’s so refreshing to collaborate with a group of individuals who really care about what they are creating, and want to create something great. It’s an experience I know I don’t get enough of, and the Youth Panel is the best way to get a hit of it. What have you learned about running an arts festival? EA: It is WAY more work than one might expect! But also that it is so rewarding when things start to pull together and everyone supports it. As previously mentioned, I’ve learned volumes as far as sponsorship and promotion goes, and this is something I know I will take with me and apply to everything else I do. DC: I’ve learned it takes a lot of work to put on an arts festival. A lot of work. But it’s so worth it. While I haven’t experienced it yet, I can’t wait to sit back and watch the culmination of everything we’ve put together over the past many months come together. It’s going to be a blast. Which group are you MOST excited about in this year’s festival? EA: This year’s line up is off the chain, and I’m pretty stoked on seeing the return of a favourite, Man Chat. But I’m also getting super excited about seeing DJ Michael Fraser rock it out with his violin! DE: The olivia Project, which is a night of interdisciplinary performance. The olivia Project Committee commissions talented young artists in all different mediums to work in small groups of three to four people who then have a month to create a 10 minute piece. It’s a very unique night that’s different every year, and the sheer number of possibilities makes it my most anticipated night. If there’s ONE thing you want our readers to know about this year’s festival, what would it be? DC: If there’s one thing you should know, reader (yes, I’m talking to you), it’s that you (yes, YOU!) can join our Youth Panel (granted you’re somewhere between 13-24 years old) and experience all the excitement of putting on a festival, all without any previous experience or fancy resume. Just show up, check-in, and we’ll accept you unconditionally into our wings as another amazing youth putting on a remarkable festival. DE: I have to pick one thing? Darn. I think I would want our readers to know that this year’s Finale Night is going to be incredible. We have put extra effort in this year to guarantee that the festival goes out with a bang. If you’re gonna come out and only watch one night, this is the one to see! EA: That no matter what floats your boat, I can guarantee that IGNITE! has something to offer everyone in the way of music, theatre, art, you name it! Come join us at The Cultch May 14th-19th and meet the Youth Panel in action. Youth Tickets starting at just $2! To buy tickets, visit tickets.thecultch.com.